Copyright © 2018 Enkronos d.o.o. There have been very few developments in recent memory that promise to be as disruptive and groundbreaking as blockchain technology has. Because it enables different entities, whether individuals, companies, or large organizations, to exchange assets, track information, make payments, and deliver a wide range of value-added services without relying on a third-party such as banks, the government or centralized institutions for verification or arbitration, blockchain promises the world faster and more secure transactions, more transparency and reliability, trade that is free from fraud and exploitation, lower-cost access to global markets, and higher levels of efficiency across the board. It is because of these benefits that we see so many promising and high-profile blockchain projects being worked on all over the world. There are numerous projects of repute that are reinventing the traditional way of doing things in industries as diverse as agriculture, investment, finance, operations, and manufacturing, as well as sports, education, entertainment, healthcare, legal services, transportation, and more. The digital tokens that run these different projects, not to mention the blockchain technology that they run on, are revolutionizing the very nature of world trade, one day and one industry at a time. The benefits of blockchain cannot be understated, especially because issues such as cybercrime and hacking are still very rampant in the online world. Cybercrime is a very lucrative industry that rakes in over one trillion dollars every year in fraud, identity theft, and lost intellectual property. A recent study found that 14 adults fall prey to cybercrime every second and that there are over one million cybercrimes committed every single day. It affects millions of individuals around the world, as well as businesses and government organizations. The threat of cybercrime is so great, in fact, that it recently joined environmental disasters, mass population displacement, and illegal trade as the biggest threats to global security today. There is an urgent need for the security, privacy, and transparency of blockchain because cybercrime and hacking are so rampant. The Facebook and Cambridge Analytica scandal is proof that we can no longer trust centralized data repositories with personal data. Other infamous hacks include the MyHeritage data breach that resulted in the private information of over 92 million people being exposed and the Ashley Madison hack of 2015 that exposed the private data of 37 million people. Companies such as Facebook, Airbnb, and LinkedIn thrive today because they make money off private user data, but the siloed nature of the data they store makes them vulnerable to attack. It is time for a change. Every public announcement of companies being attacked makes a stronger and stronger case for the implementation of blockchain and enforceable ethical behaviour in every single industry. How can we do this? Enkronos has the answer. It is because of the issues outlined above that the Enkronos project was launched. Backed by three years of consistent development, GDPR-compliant apps, a unique authentication system, and a unique Credit Ethics System, Enkronos leverages blockchain technology to create tamper-proof, auditable, private, secure, fast, efficient, and user-friendly applications for use in everything from agritech to financial services, manufacturing, retail, healthcare, public sector projects, resource management, construction, transportation, energy, and security. The Enkronos platform is a powerful, multi-application ecosystem that enables businesses to quickly publish complex and heterogeneous data-driven solutions. By doing this, it reduces the time and skills required to create and deploy complex, data-driven campaigns and projects. Enkronos is also developing a blockchain-based accountability system that ensures ethical behavior and complete protection of personal data and privacy. The problem of malicious and unethical behavior is solved by registering and tracing platform trades and data into an accountability system that is publicly available and verifiable and cannot be manipulated. Unethical actors are discouraged from behaving in illegal or unfair ways because their actions are guaranteed to be identified and flagged. By as early as the end of June 2018, developers will be able to publish live projects on the Enkronos platform for their companies and clients. The result will be an authentic democratization of blockchain technology because users can vote for the projects that interest them by using and sharing them, and this will also lower development costs which are now are a prohibitive obstacle for public release. 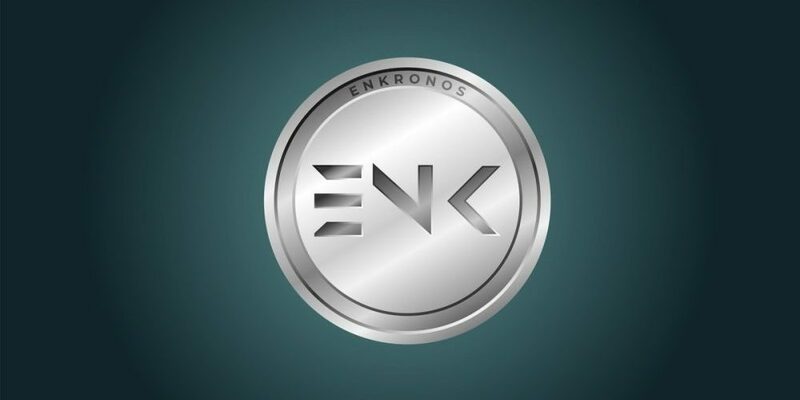 The public token sale of the Enkronos token will begin on September 18, 2018, and will run for about two months. Regulated by a smart contract and backed by the privacy, security, and decentralization of the blockchain, this project promises to not only boost development and adoption in the blockchain space but to deliver real value that is safe from malicious actors, unilateral changing of data, and market manipulation. For more information, visit their ICO site, and be a part of the next generation of efficient, private, secure, and fraud-resistant application development and services that run on trustless, verifiable, and decentralized blockchain technology.